Italian economist Vilfredo Pareto famously observed that 20% of the pea pods in his garden contained 80% of the peas, leading to the assumption that a small number of causes drive most of the results. This was ultimately proven by Pareto using statistical analysis, and people have been using the “80/20 rule” to prioritize their efforts ever since. You can optimize almost every area of business or life by using the Pareto principle to cut back on the 80% that’s underperforming, and invest in the areas that are delivering. Smart application of the 80/20 rule will keep your keyword lists healthy, manageable, and high-performing, and even give you back some extra time to focus on other high-priority efforts for your PPC account. The 80/20 rule is surprisingly underused when it comes to account management. Lance Armstrong titled his first biography “It’s Not About the Bike,” and, doping charges aside, his point is valid. “It’s Not About the Keyword List” could be the title of a PPC manager’s autobiography. Keyword quantity doesn’t matter as much as people tend to think. Keywords often get 80% of the attention, in contrast to the 20% of results they’re able to drive. If your account is sinking, throwing more keywords at it won’t work as a life preserver. The number of keywords in a PPC account has minimal impact on account performance. Scheduled keyword expansions do not intrinsically add value to an account. Guidance for how to maximize keyword performance will come later, but for now, let’s prioritize. Pop quiz; which action is most likely to substantially decrease in cost per conversion? A. Adding more keywords to a campaign that is already budget-capped. B. Improving the landing page conversion rate (without even touching keywords). If you guessed B, you’re catching on. A is unlikely to have a significant impact, other than using up valuable time. To illustrate, Blast’s search marketing (PPC) team was able to grow Sideshow Collectible’s revenue 280% not by adding new keywords, but by developing a better campaign structure. In fact, as part of our paid search optimization process, we actually reduced the number of active keywords in the account, and ended the time-consuming practice of adding new build-outs for weekly product releases. To mix metaphors: if you’ve been focusing exclusively on keyword lists to improve your account, it’s time to switch gears. When keyword build-outs and expansions are necessary, there are several possible approaches. Why spend all your time guessing which keywords will be most effective for your campaign before you have any data? Remember, potential traffic doesn’t matter if it’s not relevant to your product, and what works for competitors may not work for your company. Step 1: Create focused, strategic keyword sets using modified broad terms. Using the “+” to modify your broad keywords means that search terms triggering your ad must be highly relevant to (but not exact matches of) your keyword. With modified broad terms, you get to “cast a wide net” while still ensuring relevancy. If you’re not familiar with modified broad, here’s a quick explanation of how it works. Adding a “+” in front of your core keywords means that a variant or synonym must be included in the search term. For instance, “+black +shoes” matches for black dress shoes and black ballet shoes, but not white ballet shoes. The keyword “black +shoes”, however, could be matched against white ballet shoes, since only “shoes” is modified. Step 2: Use the search term report in Google AdWords to identify your best opportunities. Add search terms that drive conversions as phrase or exact matches. If performance is strong, these new keywords may justify higher bids, or even new ad groups with highly-relevant ad copy. Step 3: Add non-converting terms as negative keywords. Search terms that are irrelevant and don’t convert get added as negative keywords, or to negative lists in the shared library. This way you’re not wasting any spend on terms that aren’t working for you. Using the search term report to build or expand a keyword set is like laying down grass and then pouring a sidewalk on the well-worn paths. It is responsive to real user behavior, and can save a lot of time and energy by not “cementing” an approach ahead of any data collection. At its core, optimization simply means doing more of what works, and less of what doesn’t (the 80/20 rule in action!) So how can we apply this to existing keyword lists? Increase bids and budget for strong keywords (so they can win more and more conversions). Decrease bids and budget (or pause/negative-match the keywords) for underperforming keywords. This type of optimization is a simple exercise that can be done using automated rules within Google AdWords, bid management tools, or a quick manual review of spend and cost per conversion. But what about the third group, the low-traffic keywords that aren’t spending and aren’t converting? If they aren’t working and they aren’t hurting, how can these keywords get optimized? 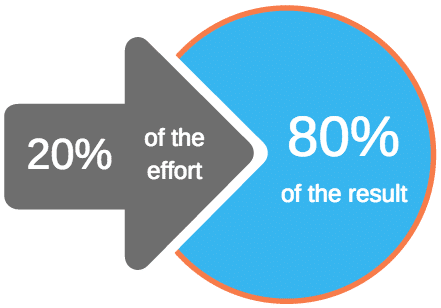 To follow the 80/20 rule, focus on optimizing for quality score for better overall account performance. Keywords with a low quality score (3 or below) typically don’t belong in your account – this is AdWords’ way of telling you they don’t match the ad and landing page. If they aren’t converting and aren’t relevant, pause them. If they’re relevant to your offer but not your messaging, fix that by creating new ads or improving the landing page. You can take a similar, if more judicious pass, with quality scores of 4’s and 5’s. The default quality score assigned to each keyword is currently a 6, so most of your low-volume terms will have this score. Keywords with insufficient history generally don’t impact your account, so the value of a mass keyword cleanup is minimal, unless it helps you better organize your account (and if it does, that’s a great return)! 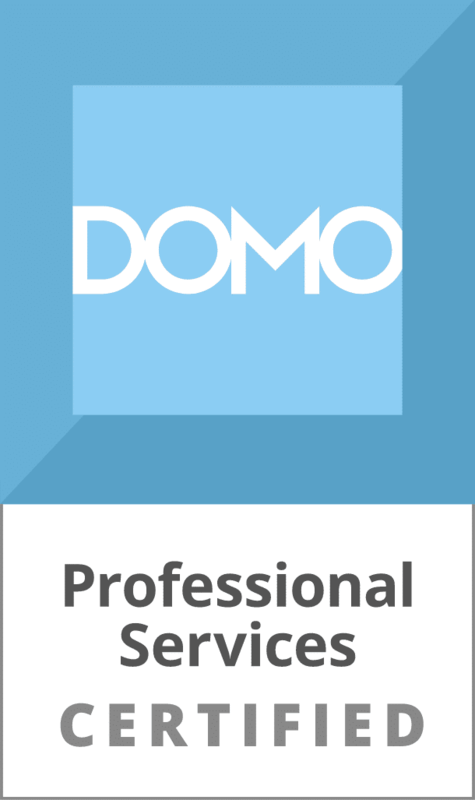 …leading to better account performance. Now Go Make Pareto Proud! PPC keyword optimization is an ongoing process rather than a one-time event, and having the right process in place (rather than continually chasing new keywords) will save you time and money while delivering better results. For more help taming your PPC keyword lists, or to get actionable insights for how to better grow and optimize your PPC accounts, contact us today. Thanks for paid marketing tips..! Amy is Director of Paid Search at Blast Analytics & Marketing. She has over 10 years experience optimizing paid search campaigns to hit aggressive KPIs, and loves the industry's unique ability to measure the impact of creative marketing. Amy Hebdon has written 6 posts on the Web Analytics Blog.